Here are top ten best resorts in Puerto Rico: El Conquistador Resort - A Waldorf Astoria in Fajardo, Las Casitas Village, A Waldorf Astoria Resort in Fajardo, Gran Melia Golf Resort Puerto Rico in Rio Grande, Wyndham Grand Rio Mar Beach Resort & Spa in Rio Grande, St. Regis Bahia Beach Resort in Rio Grande, Courtyard by Marriott Isla Verde Beach Resort, El San Juan Resort & Casino, A Hilton Hotel in Isla Verde, W Retreat & Spa Vieques - Vieques Island, Hilton Ponce Golf & Casino Resort in Ponce,Embassy Suites by Hilton Dorado del Mar Beach Resort in Dorado. The El Conquistador Resort, a Waldorf Astoria Resort is a great all-inclusive best resort in Puerto Rico for families and couples. 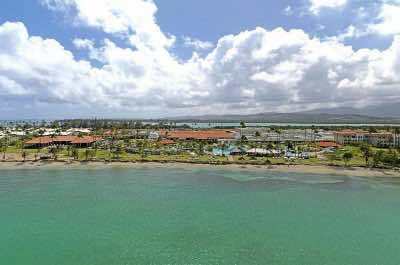 Located on the eastern coastline of the island near the small town of Fajardo, El Conquistador is perched on a hilltop overlooking the Atlantic Ocean and is associated with its smaller sister property called the Las Casitas Village. El Conquistador is a mega complex composed of low and high-rise buildings that have a Colonial-Caribbean style with four separate wings which house over 900 rooms as well as suites. Las Olas and La Vista have two categories of rooms that range in size from 408 to 605 square feet with garden or Atlantic Ocean views from a large private balcony. La Marina has rooms which are 595 square feet with sweeping views of the marina and Atlantic Ocean from a private balcony. Las Brisas has rooms which are sized at 50 square feet with a great view of the San Juan Lighthouse, Atlantic Ocean and Palomino Island. Some rooms can be connected and if you need more space try the Las Casitas Village and share the facilities amenities. El Conquistador Puerto Rico resort has plenty of options during the day to keep everyone busy. 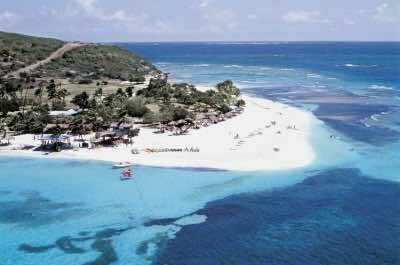 Travel by ferry to Palomino Island to relax on the white sand beaches or take a horseback ride. You can arrange for your favorite watersport activity at the marina and there is the spectacular Coqui Water Park with waterslides. El Conquistador has seven freshwater swimming pools on the resort including an excellent Infinity pool which overlooks the ocean and cabanas are available at most pools. There is a dedicated entertainment staff which keeps things rolling during the day with organized events and children can participate in the Camp Coqui which features organized activities and there are two game rooms. You can play a round of golf at the 18-hole championship golf course, play tennis, workout in the fitness center and indulge in a treatment at the Waldorf Astoria Spa. There are several fine and casual dining restaurants which include beach and poolside service from Iguana’s as well as Splash Bar. Fine dining includes grilled fare at Chops Steakhouse and seafood delights at Stingray Café. Casual dining offers eclectic sandwiches and salads at Ballyboo Bar and Grill as well as simple fare at Café Caribe. Nightlife at El Conquistador Puerto Rico resort is laid back with live music on selected within Drake’s Martini Bar where you can also play a game of billiards, you can watch your favorite sporting event at Twenty-One and the Lobby Ultra Lounge has a DJ on some nights. The Las Casitas Village, a Waldorf Astoria Resort is a luxury laid back all-inclusive best resort in Puerto Rico which is ideal for couples looking for something romantic. 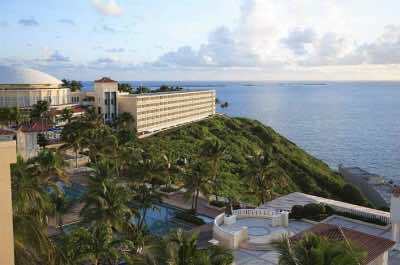 Located on the eastern shoreline of the island near the town of Fajardo, Las Casitas Village is perched on a hilltop overlooking the Atlantic Ocean and is associated with El Conquistador which is its sister Waldorf Astoria property. Las Casitas Village has an eclectic Colonial-Caribbean architectural style which has several brightly colored low and high-rise buildings that contain 157 rooms as well as suites with a modern décor. Guest rooms are spacious with a walk-in closet and a double door balcony which boasts views of the garden or ocean. One, two and three-bedroom villas have ample space from 805 to over 2,000 square feet with a separate living area, full kitchen and a private balcony with views of the gardens or ocean. Las Casitas Village has butler service available and you will enjoy upgraded amenities at the resort. Daytime activities at Las Casitas Village include a plethora of organized events and three freshwater swimming pools including a stunning Infinity pool which overlooks the Atlantic Ocean. You can venture over to the El Conquistador and enjoy the beach, Coqui Water Park as well as the main pool complex. Children can participate at Camp Coqui which will keep your children busy with fun and exciting activities. You have access to an 18-hole championship golf course, a marina, tennis courts and the full service Waldorf Astoria Spa. You can also venture to the 100-acre Palomino Island where a ferry will take you to relax on white sand beaches, ride horses or indulge in your favorite watersport activity and you can have a great lunch at Iguana’s. At Las Casitas Village Puerto Rico resort you have two choices for breakfast and lunch at Casitas Café as well as Ventana Del Caribe. For dinner you must travel to the sister property where you will find 11 casual dining choices such as Las Brisas and Café Bella Vista. Fine dining includes four choices from teppanyaki at Blossoms to a three-course Italian dinner at La Piccola Fontana. You can also choose to cook at home by utilizing your full kitchen and your butler will stock your refrigerator with all your favorite foods. Nightlife is somewhat subdued and you must travel to El Conquistador when you are looking for live music or themed party evenings. The Gran Melia Golf Resort Puerto Rico is one of the best resorts in Puerto Rico which caters to families and travelers that are searching for luxury as well as onsite amenities. 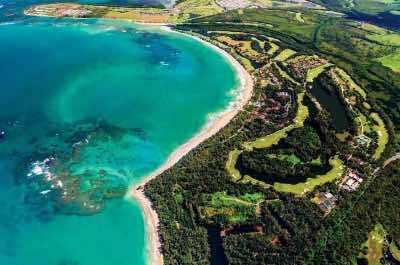 Located on the northeastern coastline of the island along a one-mile stretch of Coco Beach, the Gran Melia Golf Resort Puerto Rico is situated in a lush tropical landscape. The Gran Melia Golf Resort Puerto Rico has a low-rise Mediterranean architectural style which contains 486 rooms and suites that have an exquisite décor with Spanish accents. The Deluxe Room Garden View is more like a junior suite at 520 square feet, a sitting area and a private balcony with views of the tropical landscape. Classic Garden View is similar in size with a small kitchenette, sitting area and private balcony which features views of the gardens. Red Level Junior suites are spacious with a large balcony which has views of the ocean, gardens or ocean front as well as superior service. The Gran Melia Golf Resort Puerto Rico resort has four categories of suites which are perfect for families and range from the Red Level Grand to Grand Premium that have views of the Atlantic Ocean as well as the larger Red Level Ocean Front Villa which affords for direct beach access from your balcony. During the day at the Gran Melia Golf Resort Puerto Rico you can indulge in many organized activities by the staff or just spend the day relaxing along the one-mile stretch of golden sand on Coco Beach and you can arrange for your favorite watersport adventure at the onsite dive center. Golfers will enjoy access to the 36-hole championship golf course and there is a fitness center, tennis courts as well as the full service YHI Spa. You can keep your children busy at the kids club which offers organized activities throughout the resort all day. 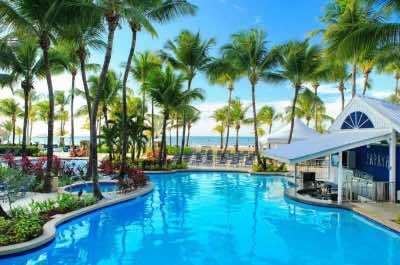 The Gran Melia Golf Resort Puerto Rico has a splendid free-form ocean front freshwater swimming pool which is complete with a swim-up bar as well as another pool which has cabanas for rent. When you are thirsty you can order a cold libation poolside at the Wet Pool Bar and Grill. The Gran Melia Golf Puerto Rico resort offers several meal plans with several different dining options for you and your family. Restaurants include Asian cuisine at Nami Asian Bistro, steak and pasta at Tempo, Café Soleil serves up breakfast and lunch as well as fine dining at Pasion by Chef Myrta. Nightlife includes a casino, family-friendly choreographed shows at the theater, live music at the Avenue Bar and themed parties on selected evenings. 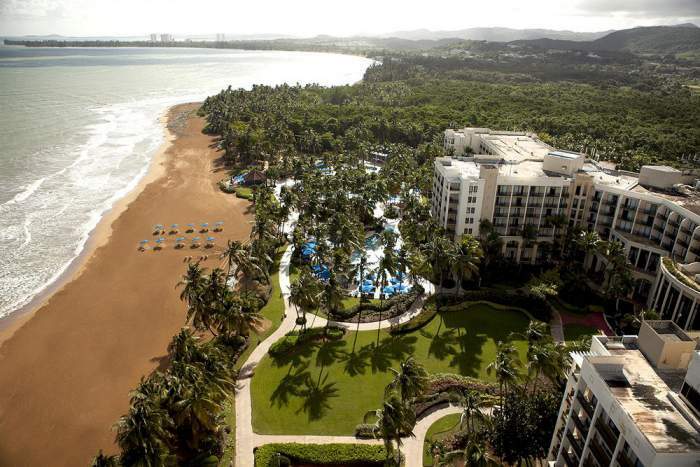 The Wyndham Grand Rio Mar Beach Resort and Spa is the best resort in Puerto Rico for active travelers and families that are looking for onsite attractions. Located on the northeastern shoreline of the island near the town of Rio Grande, the Wyndham Grand Rio Mar Beach Resort and Spa is situated on 500-acres of tropical landscape which includes a 1-mile stretch of beautiful golden sand beach and encompasses two golf courses. The Wyndham Grand Rio Mar Beach Puerto Rico resorthas a nice contemporary high-rise architectural style and contains 400 rooms as well as suites which feature a fresh modern yet subdued décor. Rooms are sized at 475 square feet and have a private balcony with views of the resort, rain forest, pool or ocean. Junior suites are 775 square feet with a sitting area and views of the rain forest or ocean from a private balcony. Other suites are perfect for families with the Ocean Family suite sized at over 1,200 square feet with a separate living area and bunk beds for the children as well as pool, resort and ocean views from a private balcony. The Atlantic suite is one-bedroom at over 1,350 square feet with a larger balcony and views of the pool, resort and ocean. If you need more space then try the Governor’s suite which features a wrap-around balcony with two-bedrooms and two bathrooms. Daytime at the Wyndham Grand Rio Mar Beach Resort and Spa is spectacular for everyone. The one-mile stretch of beach is ideal for all family outings from watersport activities to swimming to relaxing. You have access to two championship-style golf courses, the largest tennis facility in the Caribbean, a fitness center and the full service Mandarin Spa. In addition, there is a dedicated entertainment staff that keeps people busy with activities and the children will love the kids club. Another added bonus is the close proximity to El Yunque National Forest which is the only rain forest in the USA. The Wyndham Grand Rio Mar Beach Puerto Rico resort has three ocean front freshwater swimming pools which include an adults-only pool, a family pool with waterslides and a wading pool for the kids. Dining options are plentiful with nine restaurants onsite featuring everything from sandwiches to fine dining. You can enjoy a cold libation and food seaside at Seabreeze, Iguanas Pub has Puerto Rican cuisine in a family setting and you can indulge in creative Italian dishes at the elegant Palio as well as Latin-Asian goodies at Shimas. Nightlife at the Wyndham Grand Rio Mar Beach Resort and Spa includes an onsite casino, movie night on the beach and live music on selected evenings at one of the four bars. The St. Regis Bahia Beach Resort is a luxury best resort in Puerto Rico that is ideal for families and couples who are looking for a more secluded beachfront environment. Located on the northeastern coastline of the island near Rio Grande, the St. Regis Bahia Beach Resort is situated at the base of the El Yunque National Forest along a nice beach. The St. Regis Bahia Beach Resort has great low-rise Colonial style buildings which contain 139 rooms and suites that feature a contemporary Caribbean décor. The St. Regis Bahia Beach Resort has four categories of rooms that range in size from 674 to 748 square feet. Each room has a varying floorplan with a private balcony which features views of the golf course, tropical gardens or Atlantic Ocean. The St. Regis Bahia Beach Puerto Rico resort also has four styles of suites for you to choose from that are sized from 1,255 to over 2,500 square feet. The Luxury, Astor and St. Regis suites have a different one-bedroom floorplan with various views of the gardens or Atlantic Ocean. The gorgeous Governor’s suite is massive with an over-sized bedroom and full kitchen as well as a large terrace area that features views of the ocean. The St. Regis Bahia Beach Resort has a perfect two-mile stretch of sand for you to have all the fun in the sun you want. You can arrange all of your favorite watersport activities at the onsite aquatic center and swimming is usually good in this portion of Atlantic Ocean. If you want more interesting activities you can play a round of golf at the wonderful onsite Robert Trent Jones Jr. golf course, play tennis, workout in the fitness center or relax at the full service Remede Spa. The freshwater swimming pool is large with a great deck for lounging with cabanas and daybeds. Families have no problem keeping children busy with the onsite Iguana Kid’s Club which features organized activities for the children to enjoy. The St. Regis Bahia Beach Puerto Rico resort has four dining choices which include breakfast at Fern, lunch at the Seagrapes Restaurant as well as lunch and dinner service at the Beach Club Restaurant which prepares fresh international cuisine. There is not much nightlife at St. Regis Bahia Beach Resort but you can enjoy live music and a nice libation at St. Regis Bar. The St. Regis Bahia Beach Resort is children-friendly with a kids club, playground and there is even a special children’s menu at the restaurants. The Courtyard by Marriott Isla Verde Beach Resort is one of the best resorts in Puerto Rico you will find with plenty of amenities and a nice beachfront. Located on a stretch of the Isla Verde Beach on the northern coastline of the island, the Courtyard by Marriott Isla Verde Beach Resort packs a punch for the money when visiting this tropical paradise. The Courtyard by Marriott Isla Verde Beach Resort has a modern Spanish architectural style with 281 rooms and suites which have recently been renovated with a contemporary décor. You have four choices of rooms which are similar in floorplan with varying bedding options as well as a private balcony with views of the city, resort or ocean. Junior suites offer more living space and a small kitchenette with stunning views of the ocean from your private balcony. One-bedroom suites have a full living room, a larger kitchenette and gorgeous ocean views from your private balcony. Isla Verde Beach is a spectacular stretch of white sand that offers relaxation and fun with such watersport activities as snorkeling, boogie boarding as well as surfing. You can exercise at the fitness center 24-hours and the incredible freshwater swimming pool is ideal for play as well as relaxing. The Papaya Oceanfront Grill and Swim-up Bar offers service poolside as well as beachside and you have two other choices for dining onsite. You can indulge in a nice buffet-style breakfast at Café Tropical and casual nighttime dining. There is also the Sirena Oceanfront Restaurant which serves an eclectic menu for lunch and dinner that includes a three-course meal or innovative tapas. Dining can be delightful a short walk from the property where you can find a romantic dinner at BLT Steak. Nightlife begins at the onsite casino and continues at several of the bars located at Courtyard by Marriott Isla Verde Beach Puerto Rico resort which includes salsa dancing at Picante Lobby Bar and Lounge. If you cannot find what you like onsite you can hop on the bus and take a short ride to the trendy Condado District where you can find excellent dining and nightlife selections which are sure to please everyone. Although this resort has a children’s pool there is not an organized kids club but children are more than welcomed. The El San Juan Resort and Casino, A Hilton Hotel is a luxury party-style best resort in Puerto Rico that has a beautiful beach setting and perfect for young adults as well as couples. Located on the northern coastline of the island on a two-mile stretch of Isla Verde Beach, the El San Juan Resort and Casino is situated on 15-acres of lush tropical landscape as well as one the best white sand beaches on San Juan. The El San Juan Resort and Casino has been through a total renovation in 2016 and the 382 rooms as well as suites have a fresh makeover. Rooms are spacious with 351 square feet in the Tower section to Garden Lanai selections of almost 450 square feet. All rooms have a private balcony with views of the pool, garden areas or ocean. Junior suites have 600 square feet of living space with views of the fashionable Isla Verde Avenue. You can choose from three styles of one-bedroom suites which are 800 to 1,500 square feet with stunning views of the ocean from your private balcony. Some suites have kitchenettes and there is a two-bedroom suite option for larger groups. Daytime is perfect at El San Juan Resort and Casino with two-miles of pristine Isla Verde Beach for you to have fun in the sun and swim in the calm waters. You can also arrange for various watersport activities, exercise at the fitness center and relax at the full service Edouard de Paris Spa. 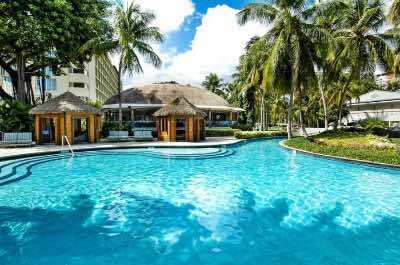 The El San Juan Resort and Casino has two freshwater swimming pools which include a large lagoon-style with a swim-up bar and one Olympic size pool for organized games as well as lap swimming. You can cool down with a cold libation poolside at the Encanto Pool Bar and there are plenty of choices for dining. The El San Juan Puerto Rico resort has six restaurants onsite that range from fine Italian dining at La Piccola Fontana to casual dining at Galeria Trattoria and Brother Jimmy’s BBQ to exquisite teppanyaki style cuisine at Yamato. Nightlife at El San Juan Resort and Casino is full of high energy with an onsite casino, five bars and lounges as well as the Brava Nightclub where you can dance into the early morning. The W Retreat and Spa Vieques is a luxury best resort in Puerto Rico which is a fabulous place for you when you are looking for seclusion, trendiness and superb beaches. 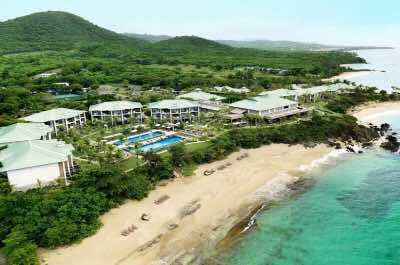 Located 8-miles from the mainland southcentral shoreline of the island, the W Retreat and Spa Vieques is situated on the northern coast of Vieques Island which sports nice white sand beaches. The W Retreat and Spa Vieques has an exclusive personality which starts with a private airport lounge for you to enjoy until your personal jeep arrives to take you to the resort. The W Retreat and Spa Vieques Puerto Rico resort contains 155 rooms and suites which are housed within several small structures. You can choose from seven categories of accommodations which range in size from 560 to 1,400 square feet. Units have a quirky interior that combines retro, modern and Caribbean décor into a trendy décor. Tropical Oasis rooms are the smallest and have a sitting area with views of the gardens and larger one-bedroom Fantastic Garden Retreat units are spacious. Other options include WOW Ocean Front Retreat with direct access to the beach and the Pool Oasis which is perfectly situated near the pool. The W Retreat and Spa Viequies has two adjacent white sand beaches where you can enjoy relaxing in seclusion swimming in the warm waters as well as the use of some complimentary non-motorized watersport equipment such as kayaks and there is a dive shop onsite to help arrange other watersport adventures. The W Retreat and Spa Viequies has a multi-tiered Infinity freshwater swimming pool with daybeds, cabanas and an excellent ocean view. You can refresh yourself with lunch or a cold libation poolside at Wet or W Café. When you want more exercise there is a fitness center and tennis courts as well as the full service Away Spa where you can relax with a specialty treatment. Dining options at the W Retreat and Spa Viequies Puerto Rico resort include the Living Room for small plates in the evening and Sorce where you can indulge in Puerto Rican style cuisine for breakfast, lunch and dinner. Nightlife is active at the Living Room Bar and the pool area is transformed into a disco atmosphere with DJ’s mixing music. The W Retreat and Spa Vieques does accommodate children but there is limited activities for them to enjoy other than the watersports. Hilton Ponce Golf and Casino Resort is a great family-friendly best resort in Puerto Rico with amenities abounds for adults as well as children. 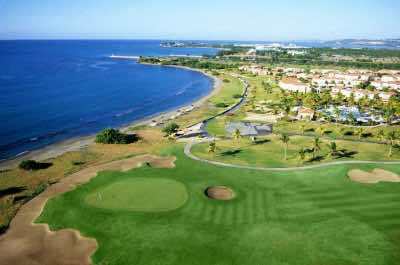 Located on the southcentral shoreline of the island near the city of Ponce, the Hilton Ponce Golf and Casino Resort is situated beachside within a wonderful tropical landscape. The Hilton Ponce Golf and Casino Resort is a cross-shaped building which has four wings with 255 rooms as well as suites that were refurbished in 2012 with a contemporary décor. Rooms at the Hilton Ponce Golf and Casino Resort have a similar floorplan and 410 square feet of living space with a variety of bedding choices as well as a private balcony or patio with views of the pool, ocean or resort grounds. Ocean and Terrace Tower suites are generally one-bedroom with added living space in the parlor as well as stunning views of the ocean from a private balcony. Other units available at the Hilton Ponce Golf and Casino Puerto Rico resort are a studio suite with two balconies for added living space as well as a large corner unit with an L-shaped terrace which allows for great ocean views. The Hilton Ponce Golf and Casino Resort is located along a small dark sand beach which offers a pleasant place to relax or swim and you can arrange for your favorite watersport adventure onsite. The two freshwater swimming pools are complete with waterslides and timed fountains as well as daybeds. Children can spend time at the playground, swimming pools and mini-golf course as well as play an assortment of outdoor games or visit the arcade room. You can indulge in tennis, a walking path and a fitness center to keep yourself in shape. While you stay at the Hilton Ponce Golf and Casino Resort you have access to play golf at the 27-hole Costa Caribe Golf Course as well as clubhouse, a third freshwater swimming pool and another stretch of beach. With a great location near the city of Ponce, you can venture off-property with a short taxi ride to such attractions as the Ponce Art Museum. Dining options at the Hilton Ponce Golf and Casino Puerto Rico resort include poolside fare for lunch at the El Bohio sports and Pool Bar. Three other choices include La Terraza for all three meals, Sancho’s Sushi Bar for fresh seafood delights and the spectacular La Cava which is one of the best restaurants in the Ponce area. Nightlife can be found at the Hilton Ponce Golf and Casino Resort with live music and events on specific evenings as well as gaming in the small onsite casino. Although there is no kids club associated with the Hilton Ponce Golf and Casino Resort there is plenty do keep your children occupied and you can arrange for babysitting. The Embassy Suites by Hilton Dorado del Mar Beach Resort is one of the best resorts in Puerto Rico for families, groups and couples. Located on the northcentral coastline of the island near the town of Dorado, the Embassy Suites by Hilton Dorado del Mar Beach Resort is situated directly on the beach and offers spectacular views of the Atlantic Ocean. The Embassy Suites by Hilton Dorado del Mar Beach Resort is a high-rise complex of Colonial style buildings which contain 174 suites with a recently renovated contemporary décor. Suites have a separate living room, small kitchenette and a private balcony with tropical, resort or Atlantic Ocean views. You have direct access to a great white sand beach which features swimming, relaxation and you can arrange your favorite watersport activity onsite as well as a fitness center to help keep you in shape. You can venture off-property easily here and visit such places like the San Juan National Historic Site and the Museo De Arte de Bayamon. For the children there is an arcade room, playground and of course the beach and swimming pool. 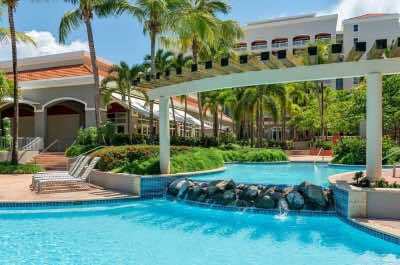 The Embassy Suites by Hilton Dorado del Mar Beach Puerto Rico resort includes a complimentary breakfast in the morning and the Paradise Café serves international buffet-style cuisine for all three meals. You can indulge in a cold libation or lunch poolside at the Blue Seahorse Pool Bar and Grill while you are relaxing on the beautiful pool deck. Other dining choices within walking distance include Katrina’s Restaurant for Latin cuisine and the Orient House serves up Asian dishes. Nightlife includes a complimentary reception with cold beverages as well as hot appetizers and you can listen to live music at the Calypso Bar on the weekends. If you are looking to dance or into a club atmosphere then try Club Bacchus in nearby Dorado.